The cover crops we seeded last fall (after harvest) are coming in nicely this spring! 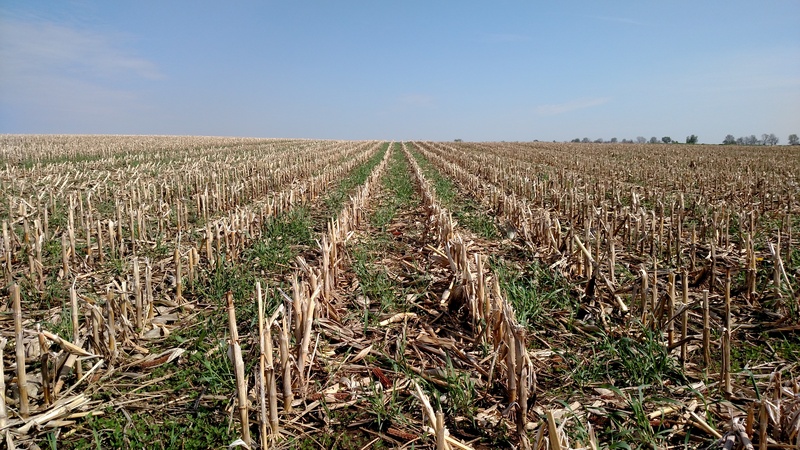 The idea behind these cover crops is to keep plants growing in the soil year-round; to keep the soil alive, if you will. 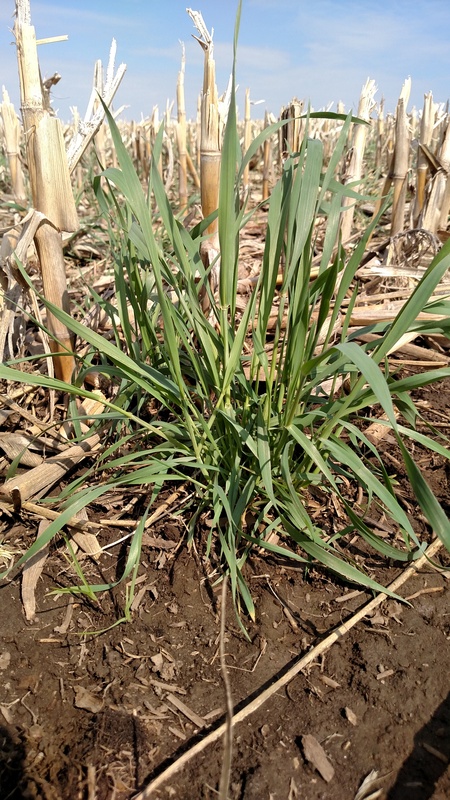 Growing cover crops provides food to bugs and microbes in the soil to keep them working year-round. This will, in turn, help up to build up the organic matter in our soil. More organic matter means less synthetic fertilizers that we will need to apply to our fields. This is a boost to the environment as well as our input cost on the farm.